Full colour illustrations throughout. Bateman. The companion book to the spectacular National History NZ-produced four-part series to screen on Prime Television. It crosses boundaries between land and sea to present the Pacific Ocean, its many wild and wondrous inhabitants, and the people who live on and around it as you’ve never seen them before. The Pacific Ocean covers one-third of Earth’s surface — greater than all of the planet’s landmasses combined. It contains half of the world’s water, hides its deepest places, and is home to some of the most dazzling creatures known to science. Illustrated in full colour throughout, Big Pacific blends a wealth of stunning Ultra HD images with spellbinding storytelling to take you into a realm teeming with exotic life yet rarely witnessed up close — until now. Providing an unparalleled look at a diverse range of species, locations, and natural phenomena, Big Pacific is truly an epic excursion to one of the world’s last great frontiers. 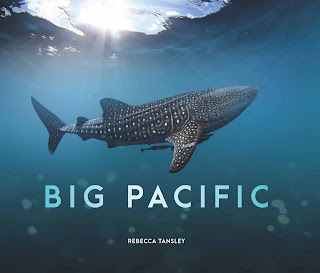 Rebecca Tansley is a New Zealand-based writer and director with a strong interest in the marine world. She has written several internationally published books and her feature documentary film, Crossing Rachmaninoff, screened at film festivals around the world. Natural History New Zealand (NHNZ) makes ground-breaking factual television about people, nature, adventure, history and science for global broadcasters, www.nhnz.tv .